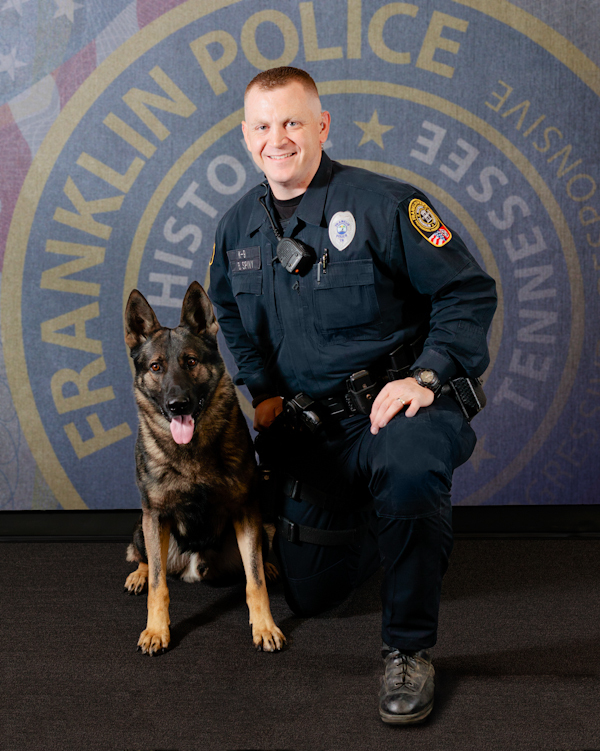 At 2:15, on Friday at Police Headquarters, the Franklin Police Department will honor the service of two retiring canines: Thor, assigned to Sgt. Aaron Compton, has served the Franklin Community since 2011; and Axel, assigned to Officer Brett Spivy, has served since 2008. Thor and Axel’s replacements, Duke and Zeke (pronounced Zeek), are in the midst of an intensive training program to prepare them for lives as canine crime-fighters. 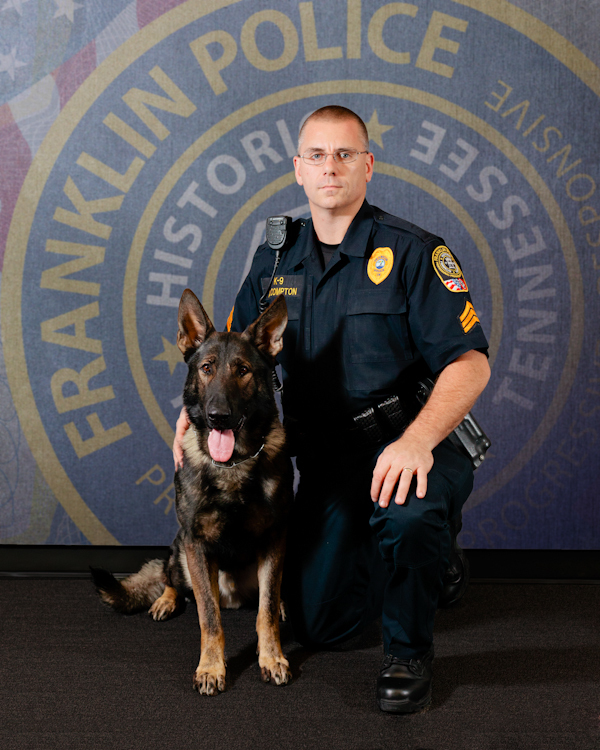 The Franklin Police Department’s award-winning K9 Unit is regularly called on to detect drugs, and to search for and apprehend dangerous felons. Axel is responsible for some impressive contributions on the street, including a 340 pound marijuana discovery, and a 10 pound marijuana discovery in 2011. He has located and apprehended suspects in several serious felony cases, and located two guns used by suspects in armed robberies. Thor and Axel have given hundreds of demonstrations to thousands of supporters during their distinguished careers. They will be missed. Where will they go to finish out their lives? How old are they? Do they need a home? Thank you for your service our furry friends and protectors of our community! Enjoy your retirement! Our retiring K9s will live out their retirement years at home with their current handlers, Sgt. Compton and Ofc. Spivy, and the families with whom they are already very accustomed. Thank you for your service Axel and Thor and happy retirement years ahead. Is the public invited to attend the ceremony? Thank you, and yes…absolutely! We hope that you’ll join us.